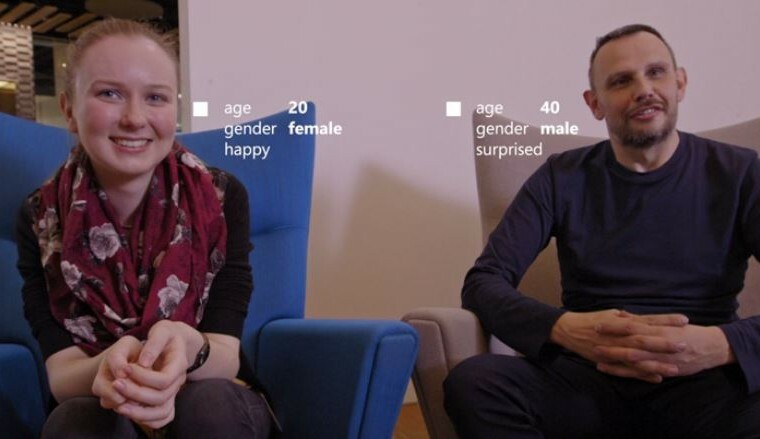 Besides it's strategic bet on bots, Microsoft has shown a very interesting project that uses their recently opened Cognitive Services API's, allowing a blind person to see. The Microsoft Cognitive Services covers a wide range of areas like speech recognition, text interpretation, and image recognition, and helps put all that power in the hands of any developer willing to use it. In the case of this Seeing AI app, glasses with a embedded camera and a smartphone allow the (blind) wearer not only to read texts, but even recognize people and their expressions. And don't think for a moment this technology is only good for blind people. There are lots of other use cases that could benefit even more people: like translating languages on the fly when you're abroad; os help Alzheimer patients recognize the people around them; etc. We just need for this technology to jump to commercially (or freely) available products, so it can start helping people outside the development labs.